Audi made quite a big deal about the launching of this brand-new A8, as it’s a very important car for the brand. As the brand’s flagship luxury car, the Audi A8 is tasked with representing the best of what Ingolstadt can do, in terms of both luxury and technology. So Audi needed to make sure that this new A8 is better than the stunning Mercedes-Benz S-Class and very impressive BMW 7 Series. So is it? This new video review from Motor1 attempts find out. In terms of style and design, the new Audi A8 looks good. It’s sharp and modern looking, with almost impossibly sharp creases and a massive Singleframe grille. However, it’s just not that exciting looking. Like most modern Audis, it looks good but it doesn’t light your hair on fair. Let’s call it understated. Inside, though, it gets much better. The leather is gorgeous and the luxury features are near endless. Audi really does some of the absolute best cabins in the business and the A8’s is no exception. It features some pretty wild features, such as air vents that flip out from behind wood trip, a dual-touchscreen infotainment system (more on that in a bit) and even an optional rear foot massager. Impressive. That aforementioned dual-touchscreen MMI system is really quite interesting. 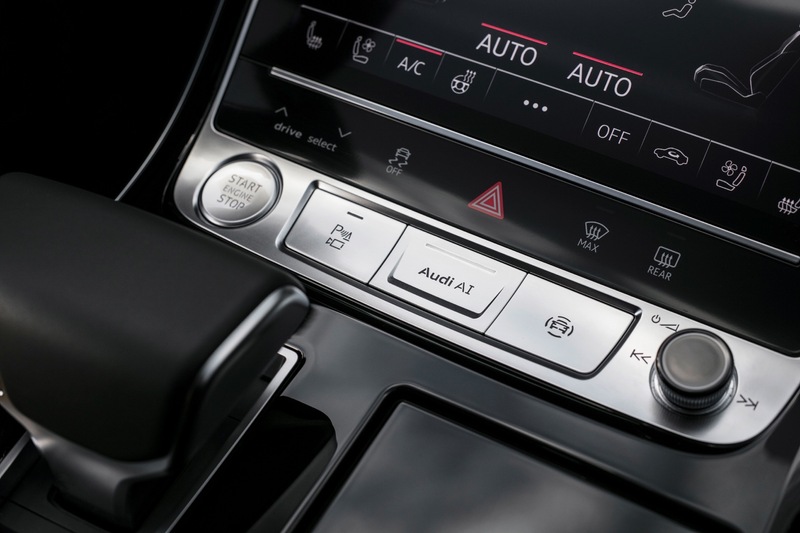 While touchscreens are typically difficult to use, Audi’s new MMI system features haptic feedback, which provides small vibrations for each touch. That allows you to use the system on the move far easier than most systems. It works quite well and uses really slick looking graphics. One of the only real issues is with Audi’s new naming system, which we think the brand is getting rid of soon. The entire 50, 55 naming scheme is literally nonsense and completely arbitrary. None of the numbers correlate to anything and are almost impossible to remember or follow. So would you buy the Audi A8 over a Mercedes S-Class or BMW 7 Series. We’re not sure, as we haven’t driven it yet. But we can’t wait to find out.